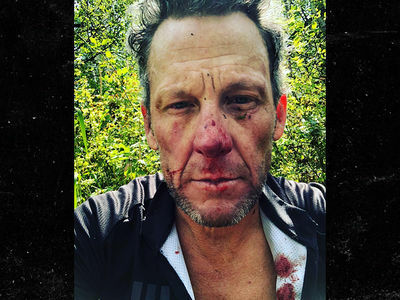 Lance Armstrong Shades Alex Rodriguez I'm a Better Person Than You! Lance Armstrong is still pissed that fellow admitted cheater Alex Rodriguez has essentially been forgiven by society while he's still considered a villain -- since Lance says he's done WAY more to help people. "A-Rod didn't raise half a BILLION dollars and try to save people's lives," Armstrong said on the "Today" show ... obviously referring to the work he did with the Livestrong foundation. Armstrong then threw even more shade at the baseball player ... sarcastically saying, "Look, it's great when somebody hits home runs and maybe does an event here and there for the Boys & Girls Club." Armstrong has previously griped about A-Rod ... telling "Freakonomics Radio" back in July, "The one key thing is that Alex Rodriguez was allowed to come back and play. And, Alex Rodriguez was part of a team sport. And thirdly, Alex Rodriguez never stood for anything else other than baseball." "So, I was never allowed to come back to my sport at any level, and most people viewed it as an individual sport. And, I stood for much more than just cycling."